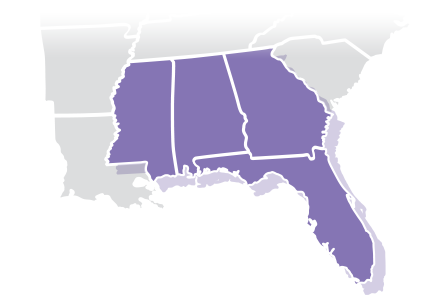 Dermatology Solutions Group currently operates dermatology practices in more than 25 towns and cities in the southeastern United States, many with adjoining medical spas. We are committed to both preventive education and to the provision of exceptional care to all of the communities we serve. We operate in cities that have a proven need for our level of dermatological care and for our operational model designed for strategic growth.